transposing to -5 kinda makes it easier if you need it! I like to use a normal B instead of B7, mostly because I find it easier. Also, with the river part, make sure you’re in a steady beat, otherwise I find I can go off course. B7 is kinda hard for me to play… any suggestions for a different chord that would still sound good? Have you tried baring it you know like a capo but with your finger. G7 is really similar to G, and its actually a bit easier. It does sound different tho, so don’t change it unless you absolutely have to. Kye it’s played on a concert by Tyler but you could still play it on a soprano. An easier, alternate way to play a B7 chord is with third finger on 4th fret of G string, second finger on 3rd fret of C string and first finger on 2nd fret of E string. Basically like an Em chord but shifted over one string each finger. Hope that helps! What is the name of that chord? Thanks for the tip!! It’s a lot easier and sounds the same if you just bar the second fret and play the other note as normal. same thing with G if you bar the two notes on the second fret. OMG I noticed that too ? I’m very late, but I see what you did there, friendo. I applaud you. Learning this song, dining it to my girl. And going to go on the beach and play the ocean boy while playing this. Is this played on a soprano or concert? Soprano right? No, he played it on a concert. What is the ukulele tone type ? That’s true although at the bottom it says that this is the author’s own work. Never challenge me i love nutella more than any one else in the world. even more than you…. Okay, sorry to say this..but G7 and G are both different. The G7 is more of a flat key and the G is natural. If on your ukulele you play both notes listen super close and you will hear the difference. What about transition for this lines. I having a hard time doing it. Replace that Em7 with A7 and you will get it. In the video, you can see that Tyler goes from B7 straight to A7, and never plays any Em7. Wow.. Thankyou! i sang this to my best friend of 3 years, i was in hopes of not having to ask her out awkwardly and so i sang this! it turned out quite well, thanks to this. too bad at the end she whispered “no.” and left the room. Well, at least i know how to sing and play another song! Sorry bro… But at least you’re looking on the bright side! Actually, they won’t respond to me. they blocked me on everything and apparently used me for my money and was getting a joke out of me. She smashed my Uke with her friends, too bad i got it on video and she now owes me $250. Hey bro, I honestly feel really bad because now I’m upset with someone I don’t know. I’m glad you’re being positive and getting your money back. If you ever need a friend you can always hit me up. how could someone say no to that?!?!?!!?!?!?!?!?! IM SO SORRY! they missed out if you can play that. my little fingers have a hard time lol. but seriously, that person was SOOOOOOOOO RUDE!!!!! YAY I was waiting for this version to come out! I live this song my fanatic music teach is teaching us. Seriously? How rude. Maybe English isn’t their first language. I love this song. My fantastic music teacher is teaching us it. Or just lean not to be a jerk. It’s really cool that you’re teacher picked this song! The only thing this person didn’t spell right was love, fanatic is a word. If written expression is challengin already a ‘joke’ like yours is like an inspid, tawdry, tastless, tacky piece of meat; nobody likes it. We shall encourage our fellow musicians instead of critizing them. That’s so cool, I wish our music class did songs like this! Yeah he did awful at spelling and someone pointed out to them in not the nicest way, but why do you guys care so much? It’s the smallest thing just go on with your music. All of words are spelled righ, just a few grammatical errors, but did Amy of you ever think about spell check??? Ok I know I’m just adding to it but why is everybody just talking about spelling two words wrong? I would like to say that this is not the OG version. There is one that came out in like the 90’s, just sayin’. Also, stop tryin’ to fit in…. #beamaverick subcribe to Logan Paul Vlogs!!!! All y’all need to shut your faces. It’s the internet, no one cares about spelling anymore. Leave other people alone, they’re just trying to have a good time learning uke. God guy shut up I LOVE this song it’s just a typo idoits. Wow never thought the comments for a ukulele site would be so toxic..
Ummm…. your spelling is a bit wrong ? All of you guys, just get a life, come on. Grow up and be the bigger person. Hey, IMBADATENGLISH, it’s okay if you don’t know how to spell…. someone in my 8th-grade class spelled “Can’t” wrong. There is nothing to worry about. I love Uke! Are you guys serious? I’m cracking up at how big of a deal this is. That guy was a jerk, so tell him off and go on with your life. I’m just kidding don’t start an argument about this too now. You are lucky to have a teacher like that. We only get to sing songs no one has ever heard and worse, music class stops at 6th grade, my grade. We can only learn instruments by paying for EXPENSIVE after school programs. Don’t judge them! maybe they were saying it as if they love the song lot so they live through the song and it makes there lives better. yes, they may have meant love but who cares! they possibly made a mistake, possibly didn’t. look at different perspectives before judging, please. The funny thing is, you didn’t spell any words wrong. You might LIVE this song or maybe you slipped. Your TEACH might be a FANATIC about this song and wants to show it by teaching you how to play it. The notation is easy to follow and the chord charts really help with learning. So it is such a coincidence that I am planning to teach my students this song. When I first heard 21 pilot’s cover version I went ‘He’s got a beautiful voice, and a soulful interpretation of the song’, I didn’t know he can sing like that having heard all of his Rock songs. SO different! I agree.Learning a new language is hard- you shouldn’t make fun of someone for a couple mistakes. Fanatic actually is a word, teach is just a short way of saying teacher, and I live this song means that they love it so much. LOL!!! YOU ARE RIGHT!!! TWO WHOLE YEARS!!! LOL!!! Me too! I love playing this song as well. And don’t listen to IMBADATENGLISH. He’s a jerk. Guys, make sure you comment on the song not some idiot guys move. Thank you for your cooperation! WHOEVER SAID “YOU SHOULD ENGLISH”, MAYBE YOU SHOULD TRY TO LEAN ENGLISH. IT WOULD DO YOU SOME GOOD. BY THE WAY I’M ONLY TEN SO YEAH EVEN A TEN YEAR OLD KNOWS WHO WHAT AN IDIOT LOOKS LIKE. Mine teacher is teaching us house of gold another really fun song! Why are people still arguing about something posted in 2015?? This is 3 years ago, c’mon people chillout. It might’ve been a joke, but it might’ve not been. I think it’s blown over by now, so I’m just writing this to hopefully stop this thread. My loves, this is a beautiful song. We shall have no fighting, thank you! Learn to love! Well, I sound like a hippie. Hey guys! The comments are for the song not for each other. So let’s all take a chillaxitive and back off. Ok thanks. REALLY!? I DID NOT KNOW THIS! THANK YOU FOR SHARING FREN! Wow, really?! Thanks so much. I’ll spread the word!! No… I do not know what is wrong with me. When you realize that juuuuuusstt a little too late. I had no idea you could vote for the Super Bowl halftime show!!! 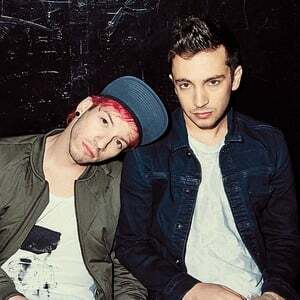 TØP would be the best halftime show ever. This song is like 56 years old, and Tyler did a cover for it in 2012… man it’s still a good song! My grandad is happy that I can play it to him! I have no idea why i called my nickname after Zootopia… or why im even replying to this message lol…. have a nice day ? That’s so cute ! ! I know LOVE THIS SONG!!!!!!!!!!!!!!!!! That’s really cool. My music teacher makes us do these songs that nobody has ever heard of. i do down down up up down up. D- D U D/ U- U D U for the verses then D- D U- U D U For The like a river flows part. Hope This Helped! i use one thats really simple, just DUD over and over again and occasionally just strum down once. i like how the clique makes this one of the daily top 10 tabs. no wonder they won most dedicated fanbase. how cute. They did? That was totally because of me I love them so much. you know it’s the same chords as the original right? It almost is, but know. The “like a river flows part to the meant to be” has some wrong chords. Same, Dude! #Obsessed With TOP.